I love having scented flowers around regular work stations or along frequented paths. Nicotiana knows how to take care of herself. Once transplanted into place it making a carefree border or filling a difficult corner. Grows to 5’ by the end of autumn. Space transplants 12” or more apart. 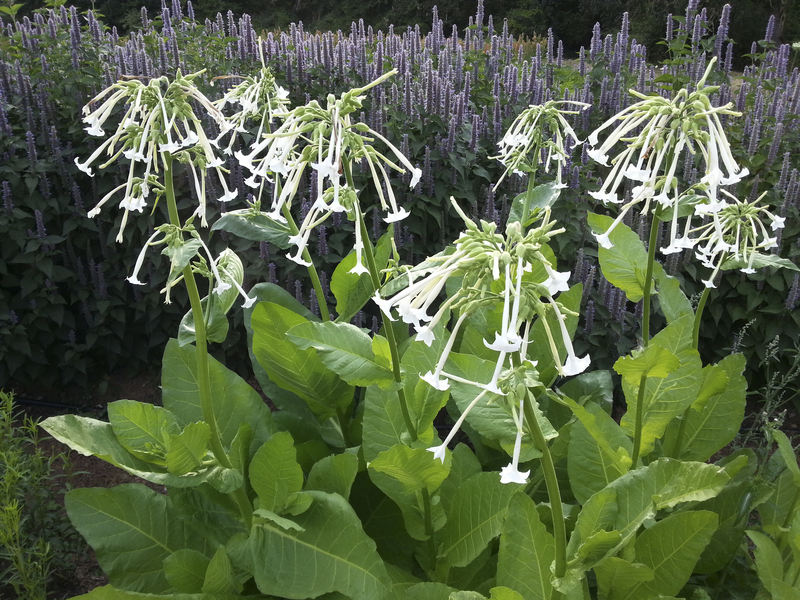 Long tubular ghost-white flowers are gorgeous en mass, glowing as dusk gathers in the heavy fragrance.